• Mrs F, having taken legal advice, charged her freehold property as security for her son’s debts. • Her action for breach of duty against the solicitors that advised her became subject to an application to strike out for want of prosecution. • In order to protect her position, a second action was issued against the solicitors. • The second action was issued more than 6 years after the impugned transaction, but within 6 years of Mrs Forster paying her son’s debts to clear the charge on her property. • Stephenson LJ (with whom Dunn LJ and Sir David Cairns agreed) accepted these propositions at p 98D. 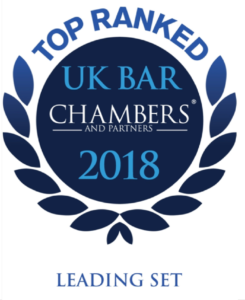 • The CA found that Mrs Forster had suffered actual damage when, having received advice from her solicitors, she executed a mortgage charging her freehold property to security for a loan to her improvident son. • Her cause of action against the solicitors in negligence accrued then, when she encumbered her property, and not subsequently when on demand she repaid her son’s loan. • Baker v Ollard & Bentley (a firm) (1982) 126 SJ 593: damage first sustained when divided house was purchased subject to trust for sale rather than on separate long leases and not subsequently when trust for sale enforced and freehold had to be purchased. • UBAF Ltd v European American Banking Corporation  1 QB 713: the bank’s case was that it had lent money on a fraudulent misrepresentation, but the CA was not prepared to find that damage had been sustained on date of loan because bundle of rights obtained may have been of same value as money expended. • Moore (D.W.) & Co Ltd v Ferrier  1 WLR 267: an inadequate restrictive covenant in an employment contract first caused damage at the date of the contract and not at the date of enforcement. • Bell v Peter Browne & Co  2 QB 495: solicitors failed to protect divorcing husband’s share in the matrimonial home transferred into the wife’s sole name and damage first suffered at date of transfer rather than subsequent sale by wife. • First National Bank plc v Humberts (a firm)  2 All ER 673: negligent valuation, but no damage sustained at transaction date because nothing to show that expenditure greater than benefit received. • Knapp v Ecclesiastical Insurance Group plc  PNLR 172: damage first sustained at renewal date of insurance policy rather than at subsequent repudiation of policy by insurer because of negligent failure by broker to disclose material facts before renewal. 4. There were two reported first instance decisions in which it was held, on an application to strike out, that an insured suffered damage at the time that it entered into a contract as a result of misrepresentation or non-disclosure by its broker and not when the insurer discovered the full facts and the contract was avoided. • Iron Trade Mutual Insurance Co Ltd v JK Buckenham Ltd  1 All ER 808, but the issue of knowledge under s 14A LA 1980 should be tried. • Island Trucking Ltd (in liq) v Hogg Robinson & Gardner Mountain (Marine) Ltd  1 All ER 826. 5. The issue of damage in tort came before the HL in Nykredit on the assessment of interest on damages awarded in the South Australia Asset Management Corp v York Montagu Ltd  AC 191 appeal that had been adjourned. • Under s 35A of the SCA 1981, the court can award interest on damages from when the cause of action arose (“arose” and “accrued” are synonymous in this context). • The claimant bank’s case was that the cause of action arose as at the date of loan. • The defendant valuers contended that the cause of action did not arise until the security was sold. • Lord Nicholls at p 1631D identified the “basic comparison” between the plaintiff’s position if the defendant had fulfilled its duty of care and the plaintiff’s actual position. He stated that the moment that the basic comparison reveals a loss will depend on the facts. Although the loss is more easily calculated after sale of the security, the loss is incurred earlier. • Lord Hoffman agreed with Lord Nicholls that there may be no loss while the borrower is making payments as covenanted. • The other three Lords of Appeal agreed. • On the facts of the case, there was immediate default and the bank suffered loss at the time of the transaction or thereabouts. • Byrne v Pain & Foster (a firm)  1 WLR 1849, in which it was held in a negligent valuation case that actual damage was first sustained on exchange of contracts rather than on completion of the transaction. • Gordon v J.B. Wheatley & Co (a firm)  Lloyd’s Rep PN 605, in which it was held that in a claim against solicitors who advised on a private mortgage scheme that breached the FSA 1986, loss was suffered when an investor made an investment in the scheme and not when Mr G undertook to underwrite investors’ losses. This decision was doubted in Sephton below. • Between 88 & 95, Sephton, a firm of accountants, signed off annual reports of a sole practitioner solicitor that he had substantially complied with the Solicitors’ Accounts Rules 1991. • In fact, no proper examinations had been made and, between 90 and 96, the solicitor had misappropriated c £750k from his client account. • The Solicitors Compensation Fund compensated the solicitors’ clients by discretionary grants amounting to £1.25m (including interest) under the SCF Rules 1995 between 10.96 and 8.1.03. • On 16.5.02, LS (as trustee of the SCF) issued proceedings in negligence against Sephton, claiming reliance on Sephton’s reports in taking no action against the solicitor. Sephton pleaded a limitation defence. • The trial judge (Michael Briggs QC) on a preliminary issue held that LS’s cause of action accrued on the first misappropriation after each report. • The CA by a majority reversed the trial judge’s decision. • Lord Hoffman, basing his decision on Wardley Australia Ltd v State of Western Australia (1992) 175 CLR 514, decided that the solicitor’s misappropriations gave rise to a liability, contingent upon the misappropriation not being made good (by the solicitor misappropriating from another client) and a proper claim being made to SCF within the six months time limit. Until such a claim was actually made, LS suffered no loss or damage and had no cause of action in negligence against Sefton. He considered that the only other English case that was a “contingent liability” case was Gordon v J.B. Wheatley & Co  Lloyd’s Rep PN 605, which had been wrongly decided by the CA. • Lord Scott of Foscote and Lord Rodger of Earlsferry agreed. 9. Watkins v Jones Maidment Wilson (a firm)  EWCA Civ 134 (2008) PNLR 23 concerned negligent advice about a building contract. • Dr W and Mrs W agreed to acquire a building plot with a view to the seller and another builder building a house on it. • In 11.97, the Ws instructed JMW as their solicitors to act in this transaction. • Contractual documents, including a building agreement, were executed on 3.4.98. • The building works had to be completed by 31.8.98, but on 6.8.98 the Ws wrote a letter waiving certain rights under the building agreement in relation to the completion date. • At that stage, the Ws were aware of minor defects amounting to about £2k in value. • The loss against the builders crystallised when an NHBC certificate was issued in 9.98. • Proceedings were issued on 26.8.04, claiming damages in relation alleged breach of duty by JMW (1) leading up to the contracts being entered into on 3.4.98, and (2) relating to the waiving of rights in 8.98. • There was a trial of complex preliminary issues (“If counsel cannot draft preliminary issues in simple terms, it is usually an indication that the questions in them should not be asked”, per Longmore LJ at para 41). • The Ws case in relation to (1) was that but for JMW’s negligence they would not have entered into the agreements, having entered into the agreements they suffered no immediate loss because the financial benefits exceeded the burdens and it was only when the NHBC certificate was issued that the loss arose. • The trial judge (HHJ Behrens) found that the Ws had sustained actual tangible loss on 3.4.98 when they entered into the agreements in that, at that date, the Ws lost the chance of negotiating better agreements. The Court of Appeal upheld that decision. • The Ws case in relation to (2) was that their loss was contingent until the builders failed to complete the work on 31.8.98. The trial judge held that the loss was sustained when the letter was sent on 6.8.98 because, although not exercisable until 31.8.98, the contractual rights had value on 6.8.98. The Court of Appeal upheld that decision. 10. Shore v Sedgwick Financial Services Ltd  EWCA Civ 863 (2008) PNLR 37 was a case involving alleged negligent pension advice and breach of statutory duty (s 62 of the Financial Services Act 1986) that failed on limitation. The only issue that went to the Court of Appeal was on limitation. • Mr S was a member of a final salary occupational pension scheme (the Avesta Scheme). • Mr S had sought advice from SFS from time to time on his pension. • On take over of his employer by British Steel, the Avesta Scheme came to an end and Mr S had a choice of transferring immediately or later into the British Steel scheme or into a personal pension plan. • Mr S was persuaded by SFS to transfer the benefits of the Avesta scheme into a pension fund withdrawal (PFW) scheme on 28.4.97.• Mr S took the maximum tax free cash lump sum and the maximum income from the PFW scheme. • The PFW scheme failed to achieve minimum growth rates to pay Mr P’s pension and his fund value declined and caused his income to fall to about a third of what it had been. • Proceedings were issued on 29.9.05. • SFS’s case on limitation was that Mr S first suffered loss on transfer into PFW plan on 28.4.97, alternatively in 99 when the pension rights under the PFW plan demonstrably fell following falling annuity rates in 98/99. • Mr S’s case was that he first suffered loss in 05 when his cumulative income fell, alternatively on his 60th birthday on 7.10.00, alternatively on the first review of his PFW scheme on 25.5.00. • The trial judge held that Mr S did not suffer loss when he entered the PFW scheme because the value of his rights under the scheme were not inherently less valuable than under the Avesta scheme, albeit that it was a riskier scheme. Mr S first suffered loss in 99 as the market would have valued the PFW plan as less than his occupational scheme following falls in annuity rates. • The CA drew a distinction between transaction cases (eg Moore v Ferrier and Bell v Peter Browne) and pure contingent liability cases (eg Sephton). • The CA found that Shore was not a pure contingent liability case (not a liability case at all), but a transaction case where Mr S acquired certain rights under the PFW scheme that exposed him to a risk of a lower income than under the Avesta scheme, whereas Mr S wanted a secure and risk free scheme. • The damage was sustained more than 6 years before issue of proceedings. Mr S sought unsuccessfully to rely on s 14A of LA 1980. 11. Pickthall v Hill Dickinson LLP & Martindale (2009) PNLR 10 concerned the sale of shares in retail mobile phone company, The Phone People plc (TPP). • Mr P agreed to sell his shares in TPP to an acquiring company for £2.7 million. Mr P was also a director of TPP. • HD acted for Mr P and Mr M had conduct of the matter. • On 6.2.01, Mr P entered into a share sale agreement. • Shortly afterwards TPP went into administration. • On 28.3.01, the administrators issued proceedings against Mr P for breach of fiduciary duty and to set aside various transactions and obtained an injunction preventing him from dealing with the proceeds of sale of the shares. • On 9.5.01, the administrators served POC on Mr P.
• On 27.9.01, Mr P was ordered to pay just under £650k plus interest. • On 6.10.01, Mr P was made bankrupt on his own petition. • During his bankruptcy, Mr P believed wrongly that he had a claim against HD that could not be pursued until his discharge. He did not realise that the claim had vested in his trustee in bankruptcy. • On 22.8.06, Mr P was discharged from bankruptcy. • On 5.2.07 (the day before the 6th anniversary of the share sale agreement), Mr P issued proceedings against HD and Mr M without having obtained an assignment of the cause of action from the Official Receiver. • On 20.6.07, the assignment of the cause of action to Mr P was made. • On 20.7.07, POC were served, complaining of the advice that he had received as to the way that the share sale agreement should be structured. • Various preliminary issues were tried, including whether the claim in tort was statute barred as at the date of assignment (it was accepted that the claim in contract was statute barred). • Mr P contended, applying Nykredit, that this was a transaction where no loss was suffered on completion, but that loss was suffered on 27.9.01, when the transaction was impugned and judgment was given against Mr P.
• The defendants contended that this was a loss of a chance to negotiate a better deal case, where loss was sustained when the transaction was made. Class 3: transaction loss cases such as Forster. • The judge decided that the case as pleaded fell within Class 3 or, if it was a Class 2 case, the loss was suffered when proceedings were issued by the administrators or when POC were served (both events more than 6 years before the assignment). • The judge went on to hold that the claim should not be struck out as an abuse of process because of Mr P’s defective title to sue, when he clearly intended to pursue the claim, if permitted to do so. • The claim form required amendment because it did not plead the assignment, which it pre-dated (the judge rejected an argument that the POC, which did plead the assignment, could be read with the claim form). • As a matter of discretion, the judge permitted a post-limitation amendment of the claim because, although pleading the assignment was a new claim within s 35 of LA 1980, it arose out of the same or substantially the same facts as the existing claim (applying Smith v Henniker-Major & Co  Ch 182). 12. Pegasus (see para 1 above) was a claim for negligent tax advice by Pegasus and Mr Bradbury against Ernst & Young (E&Y). Any contractual claim had become statute barred. • Mr B had for many years retained E&Y to give him personal and corporate tax advice. • On the sale of a business, Mr B was paid in loan notes as a way of deferring CGT liability until disposal of the loan notes. • The CGT liability could be further deferred by reinvesting the proceeds on disposal of the loan notes into a qualifying business (roll-over relief). • In the 1998 Budget speech, the roll-over relief was to be restricted to companies below an asset value of broadly £10 million. • A window of opportunity was available to benefit from the roll-over relief above this value between the Budget speech on 17.3.98 and the end of the financial year on 5.4.98. • By 2.4.98, Pegasus had been established as a new Luxembourg company and £90 million of loan notes were sold and used to subscribe for shares in Pegasus. • In order to qualify for roll-over relief, Pegasus had to start investing by 5.4.00 and to have invested £90 million in qualifying trades in UK by a deadline that was extended by agreement with the Inland Revenue. • Pegasus completed the investment programme mainly by buying shares in healthcare companies and hiving up the assets of those target companies to Pegasus in order to qualify for the relief. • A problem was encountered because the value of these target companies’ goodwill was not taken into account in calculating base cost for corporation tax on capital gains and on sale this created an unexpected corporation tax liability. This could have been avoided by buying the assets, including goodwill, of the target companies, instead of shares or by setting up subsidiaries of Pegasus, when Pegasus was formed, to hold the assets and then disposing of the shares in the subsidiaries. • Proceedings were issued on 10.11.05. Pegasus’ case was that E&Y ought to have advised in 98, before Mr B subscribed for shares in Pegasus, that Pegasus should have incorporated and funded subsidiaries, hiving up the trading activities to the subsidiaries, so that the subsidiaries could have been disposed of without triggering a tax liability (provided the subsidiaries existed at the date of subscription) and, if the advice had been given, it would have been followed. It also alleged that there was a failure to advise of the adverse tax consequences before the first target company was acquired in 3.00. • E&Y’s case on limitation was that Mr B suffered damage on subscription for shares in Pegasus because any failure to advise on the creation of subsidiaries and thereby a loss of relief resulted in less valuable shares (the breach of contract claim was indisputably statute barred). • Limitation was to be tried as a preliminary issue. E&Y obtained summary judgment against Pegasus on the basis that it owed no duty of care to Pegasus. Applying orthodox rules of measuring damages in tort, there was no expert evidence to show that the value of the shares acquired by Mr B in Pegasus were worth less on acquisition than the $150 million that he paid for them. However, in a professional negligence context, where contractual and tortious duties are by and large the same, namely to exercise reasonable care and skill, the damage for which a professional is liable is the damage attributable to a failure to exercise reasonable care and skill. When the failure to exercise reasonable care and skill results in the client entering into a transaction without securing for the client a right or benefit, the client sustains damage when the transaction takes place. Once the share issue had taken place, Mr B had lost irretrievably the opportunity to incorporate and fund subsidiaries to purchase shares and avoid the adverse CGT consequences. Thus Mr B acquired a stand-alone company, Pegasus, that was different from the corporate structure that he would have acquired if he had been properly advised and was objectively less valuable to him because of the adverse CGT consequences that he would otherwise have avoided. 14. Spencer v Secretary of State for Work and Pensions  EWCA Civ 750  1 All ER 314 concerned a claim for Francovich damages against the Government for failing to implement European Community law in relation to personal injury claims. • The complaints against the Government were defects in the MIB scheme that led to the claimant losing costs and interest and receiving inadequate damages; and failure to implement Article 6(2) of the Framework Health and Safety Directive into the Management of Health and Safety at Work Regulations 1992, leading to a failed claim by an employee against an employer, where he otherwise have recovered damages. • In each case, proceedings against the Government had been issued within 6 years of the disposal of the personal injury claims, but more than 6 years after the injuries were sustained. • The Government successfully argued at first instance that the limitation period ran from the date of injury and that the claims were statute barred. • The CA treated the claims against the Government for failure to implement EU law as prima facie analogous to a solicitor failing to include an appropriate term in a contract. Waller LJ at para 24 summarised the economic tort limitation authorities, including Nykredit and Sephton. • The CA found that both claimants had sustained measureable loss against the Government as at the date of injury because, on their cases their claims were of less value than they should have been. 15. Previously, in Poole v HM Treasury  EWHC 2731 (Comm)  2 CLC 865, Langley J had refused to treat a Francovich claim by underwriting names at Lloyd’s against HM Treasury as being a Sephton contingent loss claim. He held that the names had suffered actionable damage when they became names or when their exposures increased in the relevant year of account. • If the case involves a transaction, the date of exchange of contracts should be assumed to be the date when damage is sustained. • This is partly because of the “secure rock” point in Shore, but more generally it is because any argument that the cause of action accrued after that date is almost bound to give rise to factual arguments as to whether or not the benefits match or outweigh the burdens on entering the agreement so that damage is postponed and whether (very unlikely) it is a true contingency case. • Even if the accrual of the cause of action occurs after the transaction date, there are likely to be competing dates. • Cases with limitation shadows hanging over them are more expensive and harder to try (preliminary issues) and harder to settle. • Issue early, using the four month period for service of the claim form if necessary and staying proceedings to complete the Protocol. • If there is a clear limitation issue, as a claimant plead your case on limitation as it sets the agenda and gives you two goes (POC and Reply).